CLEANING is one of life's most annoying jobs. 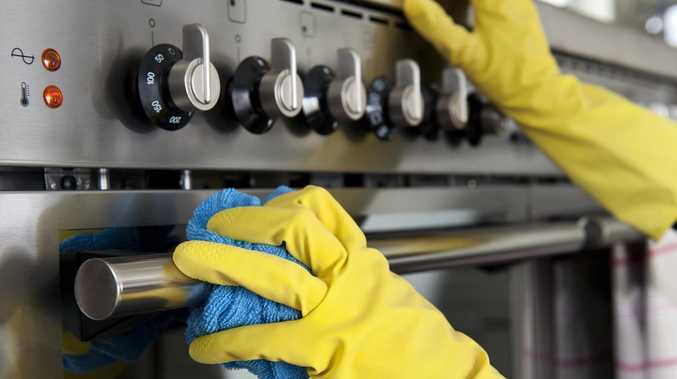 But when it comes to keeping our kitchens sparkly and fresh, there's no chore loathed more than cleaning our ovens. One savvy mum has revealed her $3 hack for getting yours back in pristine condition in no time - and people are losing their minds. 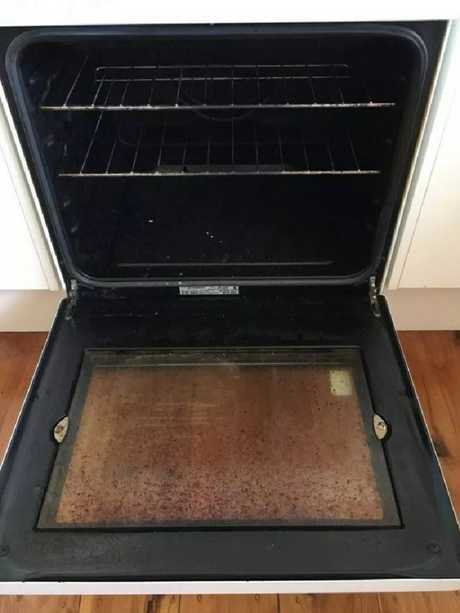 Posting on the Mums Who Clean Facebook page, the woman showed off her remarkable results on an oven she hadn't cleaned in nine years. She marvelled: "Look what happened." "I used bicarbonate of soda and vinegar and a nylon scouring pad inside the oven." 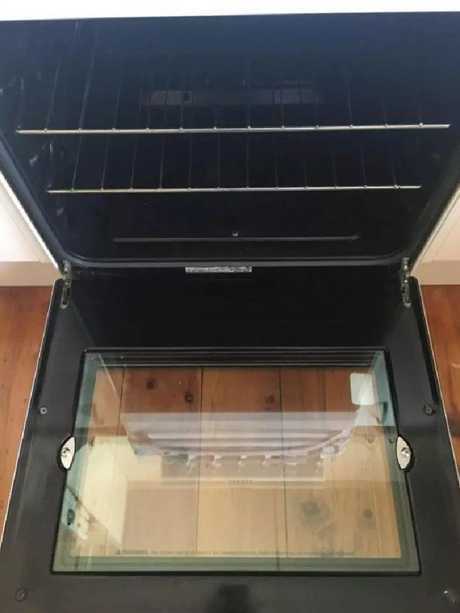 Her simple two-step hack has been lapped up by fellow cleaning fans, who were stunned by the transformation of her once filthy oven door. The simple acidic solution is an old favourite and most effective when the oven is still warm. 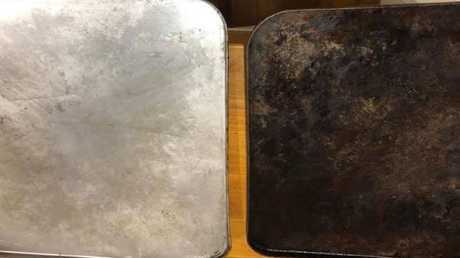 She then used another smart trick to restore her oven racks to their former glory. "For the door and the racks I soaked in the bath tub with dishwasher tablet wrapped in foil," she said. Using just a dishwasher tablet, some aluminium foil and either a bath tub or kitchen sink, she removed the baked-on oil with ease. But there's a knack to it as another user previously explained. "Wrap the tray with alfoil and put in a sink big enough or even the bath and submerge in hot water. Then place a dishwasher tablet on top," she explained. "Then let soak for a few hours or overnight depending on how bad the build-up is. You may need a little scrub afterwards but it mostly all just wipes off easily." The magic behind it is all thanks to the chemical reaction between the foil and the dishwasher tablet - add your dirty oven tray and you're good to go. Just make sure your dishwasher tablet is balanced on top as that's apparently super important some mums have pointed out. Unsurprisingly, fellow cleaning fans have been blown away by the amazing results. One replied: "Amazing! Well done! Plus no overpowering oven cleaner required! I hate that stuff, it restricts my breathing." "I can't believe it looks so good with only that," another said. Others simply said: "Wow, it looks incredible." Tracey Bailey, Founder of eco-friendly and low-tox living website, Biome is a fan of the vinegar and bi carb method - that is completely low tox. "Cleaning brands will smack you in the face with their chemical fumes," she told news.com.au last month. 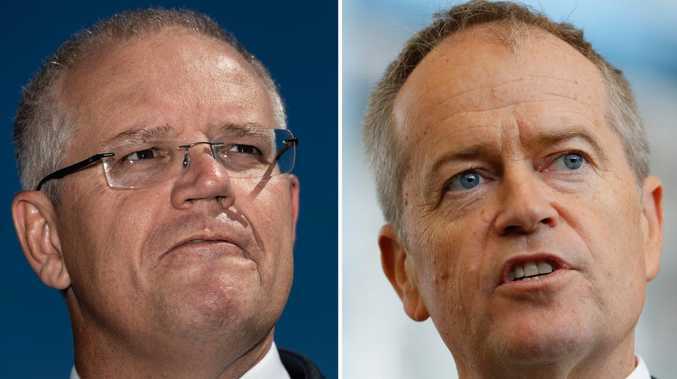 "For a cheaper option and a 100 per cent toxin free alternative, I'd recommend mixing bicarb soda with white vinegar." Last month, news.com.au revealed the $5 cleaning hack blowing minds around the world that's still showing no signs of slowing down. Fans have been using denture cleaner Polident around the home, as it has a secret scrubbing power that's led to it being praised by a number of different users. People have been transforming their mucky kitchen tiles, revitalising old couches and even wiping out nasty odours from smelly shoes.